Carl Friedrich Schroth (1909-1997) was a keen sporting motorcyclist and engineer from his youth onwards. Before the 2nd World War he joined LUEG in Bochum, at that time Germany’s largest BMW and Daimler-Benz dealer, as manager of the repair works. In 1943 – as the air-raids on the Ruhr District intensified – the works was relocated to Neheim-Hüsten. In 1948 LUEG closed the Neheim works and returned to Bochum. The Schroths however remained. The decisive locational factor? Neither traffic links nor workforce, but the food situation. An economy of scarcity still prevailed in Germany. In little Neheim-Hüsten, in the middle of the rural Sauerland, one could feed a family better than in the Ruhr District. The SCHROTHs had moreover already added a second string to their bow. On 12.6.1946 Mrs. Hildegard Schroth, née Tobler, registered a textile works with the military government. A skilled tailor, she sewed filter hoses and articles of clothing for vehicle gas generators. Her protective motorcycle clothing was especially successful. The prams assembled by Carl Friedrich also sold well. The little factory soon needed more room. In 1953 it moved to its own premises at Am Siegenbittel in the Hüsten district. In the mid-1950s the passenger car began its triumphant progress through Germany. The motorcycle was squeezed out, becoming the “little” man’s transport. In 1954 the motorcycle clothing trade simply collapsed: a long, hard, wet winter made travel by motorised two-wheeler a joyless affair. Even a little Isetta, bubble car or Kleinschnittger microcar, not to mention the VW Beetle, offered more protection against the weather’s inclemency. The Schroths feverishly sought new products; for two-or-three years they even experimented with lights – very appropriate in Neheim, the city of lights and illumination. The future lay elsewhere. Soon after the war Carl Friedrich Schroth was already indulging in his motorsport hobby again. A nimble motorcyclist before the war, in the 1950s he switched to Borgward and Simca as well. He took enthusiastic part in rallies and encountered a problem: it annoyed him that his co-driver could not read maps and navigate properly because he was constantly being flung to and fro in his seat. “He needs securing!”, Schroth decided. From roller blind and coat buckles he “tailored” a seat belt for his co-pilot. He had developed the first German belt, a shoulder belt. This seat belt was not yet a safety belt. In the USA the debate about passive safety for drivers and passengers was starting. In Germany too the number of traffic fatalities rose alarmingly as traffic increased. Safety consciousness was however still in its infancy here. It was soon clear to Schroth that a sole campaigner had no chance here. Without delay he involved himself in forming working parties, panel membership and lobbying. In 1956 Schroth formulated a “Recommendation for increasing the safety of vehicle passengers” for the Ministry of Transport. He presented a wide-ranging analysis of the factors important for safety – even then, before the terms were familiar, Schroth regarded safety as the product of a system of interlocking technical and human factors. He made clear reference to the discussion in the US. Observation of what was going on across the Atlantic was always to be important for Schroth. As a small businessman unable to afford large-scale mass advertising campaigns he looked simultaneously for prominent leading advocates, whose role was to make as many people as possible aware of the subject of belts. This was not easy. The liberal Federal President “Papa” Heuss refused to be “tied down” in cars. Not so Joachim “Blacky” Fuchsberger. The 29-year-old rapidly ascending film and TV star was a passionate Porsche driver. His enthusiasm for SCHROTH belts was such that into the 70s he continued to give public mention at every suitable opportunity to the need for safety belts. An unparalleled marketing success, an important boost to help establish the still innovative safety belt. There emerges here a specimen customer group which SCHROTH still maintains today: sporting, ambitious drivers of fast cars to whom quality and the safety of their passengers too are important. Initially the company could not of course survive on belts alone. Into the 1960s it manufactured other products, some of which complemented the belt as a safety system in keeping with the 1956 integrated safety analysis: foot rests, head restraints, padding for sun visors. Also made were accessories such as umbrella holders and reclining seats for the new leisure society. But the trends were promising: 350 belts left the factory in 1956, four times that number in 1957. Between 1951 and 1960 the number of passenger cars in Germany rose sixfold to 4.8 million. The “threshold into the new epoch of the motorised society”, wrote the historian Peter Borscheid, “had been crossed”. In 1971 there were already 14.4 million registered vehicles in Germany. Under the influence of this mass motorisation and its consequences there began not later than the beginning of the 1960s a phase of regulation and limitation in automotive engineering. New safety standards, developed in the USA in particular, stressed passive safety through restraint systems among other things. 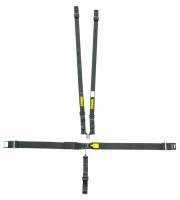 In Europe the development of safety belts was given impetus by Volvo in Sweden in particular. 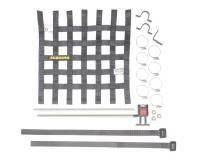 Between 1955 and 1973 SCHROTH was involved along with many other German manufacturers in developing and producing lap belts, 3-point belts, inertia-reel belts and mechanical belt-force limiters. The object here was to develop belts which were user-friendly as well as reliable. Inertia-reel belts in particular provided a distinct increase in convenience, no longer needing to be constantly adjusted by hand or reeled up after use. 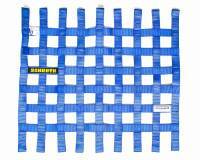 SCHROTH consistently emphasised research and quality. New materials such as the polyester TREVIRA were introduced. At the end of the 1950s Hoechst AG in Frankfurt/M. set up Germany’s first dynamic test sled. SCHROTH was one of the first customers. Since 1961 Schroth has been present internationally at the IAA Motor Shows. At the beginning of the 1970s, under the influence of the approx. 20,000 traffic fatalities annually, the intensive campaign of persuasion in politics, trade associations and society at large for improvement in passive safety finally bore fruit in Germany too. After long, heated discussions - the press had occasionally spoken of “compulsory belting up” and “preventive detention” – cars had to be equipped with belts. In the mid-1970s belt-fastening in the front seats became mandatory. The seat-belt manufacturers’ dream appeared to have come true. SCHROTH however executed an abrupt U-turn. Father and son Carl Jürgen Schroth, – in the company since 1971 – decided against becoming original equipment manufacturers for the motor industry. Both thought the risk of their small family business becoming dependent on the huge motor corporations too great. History has shown how right this decision was. It secured the company’s continued independent existence. 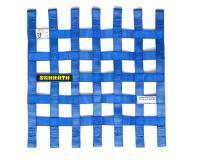 SCHROTH benefited initially from huge sales linked to the surge in retrofitting of belts. But this stopped in May 1976. SCHROTH had to shed personnel. In the interim however the product portfolio had been successfully reshaped. The company returned to its beginnings – shoulder belts. In 1973 the Rallye Shoulder Belt 4003 came on to the market – a winner. 500,000 of these belts and variants of them were sold by 1987. No other belt of this type had been produced before in such large quantity. In the mid-1980s, still guaranteeing top quality standards, SCHROTH produced up to 100,000 belts a year and rose to become the world’s biggest manufacturer of shoulder belts. How was this possible in spite of the oil crisis and economic downturns? When belt-fastening became mandatory some drivers consciously chose quality – roughly according to the motto “If I’ve got to have belts, I’m having decent ones!” – and therefore chose SCHROTH shoulder belts. Drivers, young ones especially, were gripped by a new spirit. A Manta, Capri, Golf GTI without shoulder belts? Unthinkable! 90% of customers were young, sports-minded drivers aged between 19 and 30. In this generation SCHROTH belts – their technology, but above all their aesthetic design and signature – had “cult” status. And if the money wouldn’t run to one, a SCHROTH sticker was the first step towards tuning... SCHROTH deliberately canvassed this target group: races and rallies were sponsored. Many people clearly remember the “travelling circus” of the SCHROTH Westfalen Trophy. Not only the drivers, but above all the fans and the event’s many devotees put their faith in SCHROTH. The company grew. The workforce increased. Eventually a new site was decided on. In 1988-89 production started at the new Im Ohl site. 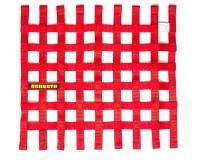 SCHROTH itself was of course not entirely at ease with the “monostructure” of its customers. The 1986 Annual Report expressed the fear that things would soon turn bad: in the mid-1980s this customer group still had one of the highest birth-rates. The sudden drop in the birth rate due to the contraceptive pill was foreseeable. From the mid-1990s onwards buyers for the sales mainstays would melt away – a disturbing prospect. While despite all demographic analyses politicians went on proclaiming the security of pensions, SCHROTH was already seeking alternative customer groups and new markets. Salvation was seen initially in special belts and solutions to specific problems, for example for cushioned seats in vans and lorries, for construction machinery, ambulances and ultralight aircraft. But – so went the 1986 forecast - all this would not be enough to compensate for the feared falls in sales. What was to be done? To the sombre demographic prospects other problems were added. At the end of the 1980s the cycle of successful model products was nearing its end. There was moreover a disquieting threat from the legislators. From today’s vantage point it is as clear as a bell how important it is for a small or medium-sized enterprise not just to observe general trends and tendencies which might affect its sphere of business, but also to bring its expertise to bear on them. At the end of 1980s an amendment to §35 of the German Road Traffic Licensing Regulations (StVZO) was in preparation, under which only 3-point belts were to be approved for use in vehicles. This would have meant the end for shoulder belts and thus for SCHROTH. Only thanks to intensive persuasion, spelling out all the risks and opportunities in these belts, was the danger averted – what insiders dubbed the SCHROTH LAW came into effect. It did however require a large number of special tests and certificates substantiated by elaborate series of tests and vehicle measurements. Precisely these requirements however held a future opportunity for SCHROTH. Not later than the mid-1980s – according to the esteemed economic historian Werner Abelshauser – two major trends influenced the change in the German employment world: the increasing scientification of products and production and, closely linked to it, globalisation. The new requirements of the StVZO prompted SCHROTH to expedite and intensify further research on the product. This established a critical knowledge base for future intelligent products. And more: a manufacturer could afford this research only if he produced items in appropriate quantity – at that time this meant only SCHROTH. The outcome was an effective monopoly position brought about by being technologically ahead. But initially the problems multiplied. The shoulder belts really needed to be improved, since in the event of an impact the belted-in body could in certain situations “dive” underneath the lap belt. To prevent this “submarining” SCHROTH, assisted by VW, successfully developed in collaboration with the Rhineland Technical Inspection Association (TÜV-Rheinland) and introduced in 1988-89 asm (anti-submarining) technology. Almost simultaneously a new European Standard required the introduction of delayed-action belts which no longer responded just to belt withdrawal. SCHROTH solved the problem with an electronic sensor. A first product of this type was however marketed prematurely. Although Schroth succeeded in overcoming the obstacles, this setback cost market share. There were other difficulties ahead in the core shoulder-belt business. The market in Germany declined, not just because of the drop in birth rate. The standard 3-point belts supplied as original equipment in cars were becoming ever safer, more convenient and visually more acceptable; car interiors were becoming more elaborate and more complex. This made retrofitting shoulder belts difficult. Today about 20,000 SCHROTH shoulder belts are still made in very wide-ranging colours for trend-conscious drivers seeking matching accessories for their customised car interiors, for the tuning scene and rallye fans and – at meetings, say – are sold straight from the truck. Added to these are other belts sold under different brand names. Significant fluctuations in sales and profits therefore characterised the first half of the 1990s – while at the same time considerable funds had to be provided for essential new development. SCHROTH’s principal bankers nevertheless kept faith with the company. But where should development be going? In 1996 an “economy product” was being considered under a different name and plans were being made for easier-to-operate belts and for outsourcing production to Eastern Europe. But Carl J. Schroth found a new niche market. SCHROTH takes to the air... In 1991-1992 entry into the aviation market began – SCHROTH developed and supplied special belts initially for Airbus cabin-attendant seats. The development work and money invested in research since the end of the 1980s in asm technology and other things now paid off. They paved the way for SCHROTH into the new sphere of business – assisted by a decent helping of chutzpah. Confident of its own technological lead, SCHROTH aimed straight for a leading international position. As before in 1974 the company left the bulk business, the “lap belts for passenger seats”, to others. If this ambition was to be taken seriously, the company had to move further than hitherto towards globalisation and internationalisation. 65% of the aviation business was transacted in the USA. This market could be canvassed successfully only with a platform in the USA itself. 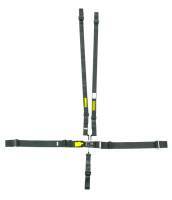 In 1993 SRS (SCHROTH RESTRAINT SYSTEMS) was therefore established in Boulder, USA. A broad spectrum of belts and restraint systems was developed for the most diverse fixed- and rotary-wing aircraft. 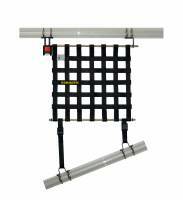 In 1995 for example SCHROTH restraint systems with pushbutton closures were approved by the FAA. This new – for aircraft seats – type of closure provided safer products, especially for helicopters with their relatively tight seating conditions. Their success was resounding: in 1998 SCHROTH products were already original equipment in 80% of all helicopter ranges. 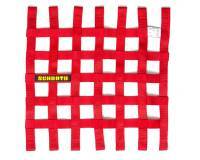 In 1997 the company name SCHROTH Safety Products conveyed both internally and externally the company’s international orientation. In 1999 came the decision to start production in the USA itself; production started in Florida in 2001. So now the message is: “Designed in Germany – produced in USA”. Again and again Carl J. Schroth is the driving force behind new solutions. In 1996 Arnsberg received a fax from Dallas: “Couldn’t sleep one night in Dallas and have therefore been thinking about the self-releasing shoulder belt for NH 90. Have probably found the solution. Please prepare a draft design and perhaps a prototype”. A flash of inspiration did not always suffice. Research and development occupied more and more space in manpower terms too. Problems were tackled head-on, although sometimes eliciting a grin: “I have promised that we will continue working on the problem of the Cola/Ketchup effect for pushbutton closures...”, wrote Schroth in 1998. Just as technical skills facilitated entry into aviation technology in 1991 not least on the basis of supplying rallye equipment, SCHROTH was able to utilise the experience gained in the aviation sector for a stronger presence on the world’s motor-racing circuits. In the mid-1990s demand was growing for safer and more convenient as well as ever lighter restraint systems for Formula 1 too. Häkkinen and Alonso, Schumacher and Coulthard put their faith then and now in SCHROTH belts. Just how critical service was and is as well as technical superiority is shown by the following incident: 2003, Barcelona: Ahead of the Formula 1 season in Melbourne David Coulthard tests the new HANS (head and neck support) technology which SCHROTH still manufactures today under licence and equips with belts. But it does not function quite right. Coulthard wants a completely new belt system. Within three days a HANS system with newly adapted double belts arrives in Barcelona from SCHROTH for testing purposes. The special tests for the FIA are however still outstanding – but thanks to good contacts and personal trust built up over years this hurdle too is taken. Coulthard is very satisfied and wins the race in Melbourne – of course. This example and many others were compelling. 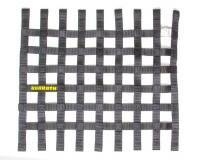 Between 1997 and 2006 SCHROTH has been able to increase its sales in motor racing by a hundredfold. Its world-wide market share for racing belts outside the USA is today around 70%. 2001: Strategic alliance with Goodrich Corp. to develop and market an inflatable belt system. It led in 2004 to SCHROTH’s taking on the corresponding licences exclusively. 2003: Other experts in seat technology besides SCHROTH collaborate in the “CEST” Team to bid for fitting out the Airbus A 400M transport aircraft. Likewise 2003: Cooperation agreement with König Komfort- und Rennsitze GmbHfor developing restraint systems for military vehicles. 2004: Cooperation agreement with SPARCO, a major Italian manufacturer and world-wide distributor of motorsport supplies in Italy. 2005: Safetelligence GmbH & Co KG for developing a rescue system for high-rise buildings. Figures from the last few years only suggest the furious pace of development in recent years. Without a functioning business culture based on joint responsibility, cooperation and fairness these achievements would be inconceivable. State-of-the-art technology, innovation, service and quality can succeed only with motivated, skilled staff. Since the 1980s the “SCHROTH Family” motto – “Not just when times are good” – has applied. The integration accomplished by a company even in growth phases when for example the workforce more than doubles inside five years – as happened at SCHROTH between 1997 and 2002 – should not be underestimated. Against the background of the increasing significance of customised problem solutions maximum importance attaches to an optimised sales organisation. SCHROTH took and takes account of this, for example by appointing the second General Manager Bernd Wallraff, creating the post of Product Manager and, most recently, expanding the Development department and moving it to the Kaiserhaus. Backward and forward glances In the mid-1990s the sociologist Ulrich Beck postulated that in the age of globalisation the importance of the local would increase still further. SCHROTH provides an example of how a medium-sized company operating from a site out in the country can be successful world-wide. In 60 years of company history basic elements leading to success can be identified: Passenger safety in road vehicles and other means of transport – no matter whether in the air or on the ground – has remained SCHROTH’s central concern for almost 60 years. Experience gained in this field has been and is being systematically utilised for the most wide-ranging sectors. Business success for SCHROTH is not defined by short-term movements in sales and profits, but is instead geared towards long-term safeguarding of the business premises and growth of the company. This fundamental attitude has influenced many decisions, such as those taken in 1973, 1991 and also very recently. The way to achieving our aim is not mass production with tight margins but the ongoing search for niche markets, for particular problem areas and challenges calling for intelligent, customised products with high added value. Here the object is to score points with technological advance, outstanding service and high supply capability. This orientation is entirely consistent with the personal temperament of entrepreneur Carl J. Schroth, who is not only a committed businessman but also a committed engineering designer and problem solver. Added to this is a good helping of sporting ambition. For in the selected niche markets SCHROTH intends to become and remain the First world-wide. Success in niche markets comes only to him who continually looks beyond the rim of his tea-cup to detect medium- and long-term trends, to discover new niche markets and also to find partners. Given company groups operating world-wide only working affiliations between companies can bring success in modern, capital-intensive and globalised markets. The aim of a business culture based on openness and trust among other things is long-term sustained maintenance in all staff of motivation, flexibility and willingness to work for a common future. Can anything quintessential be drawn from SCHROTH’s 60-year history for Germany as a business location? Yes, in the words of Ulrich Beck: “The greater importance of self-determination, the greater part played by individual resourcefulness, the enterprising and creative sides should be much more markedly accentuated here." SCHROTH knows TUNING! 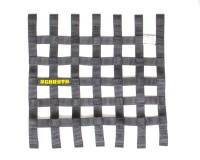 For over 50 years SCHROTH has been making 4 point restraints "Hosenträgergurte". German engineered and manufactured, all harnesses are either ECE or FMVSS approved and tested and come in a wide variety of colors, styles and configurations. Options include the Rallye 3 and Rallye 4 harnesses or treat yourself with the extremely popular autocontrol harness with built-in inertia reel! Of course, SCHROTH is the only manufacturer of the QuickFit harness, the ideal belt for Track Day drivers! The perfect tuning or performance up-grade is only a few clicks away. 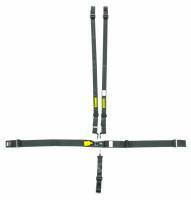 Schroth harness belts bolt into existing seat belt anchor points. All original equipment belts are retained. Because of the Schroth ASM system, there are different belts for the LEFT and RIGHT side of the vehicle and cannot be interchanged. 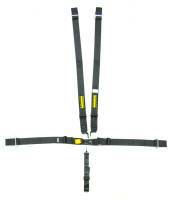 Schroth harness belts use the highest quality webbing and hardware. Complete mounting instructions and all hardware included with every belt. SCHROTH Engineering is a team of highly qualified engineers and technicians, who not only work for SCHROTH Safety Products, but also for external customers. The major task is the development and improvement of restraint systems for all kinds of vehicles and aircraft. On the basis of a comprehensive range of experience gained during a long standing history, as well as newest findings from safety and material engineering, we develop and construct components, to meet specified requirements, from textile, plastic and metal materials, which are subsequently assembled together to form complex restraint systems. In addition to our vehicle integration process, we will in future also apply simulations and analytical calculations of stability, in order to be able to provide further product improvements. Feasibility studies and expert opinions belong as much to the scope of services as does professional counselling of customers and the collaboration within international committees. All of these processes will be efficiently secured by an accompanying project management. Our technical know-how is based on 15 currently active patents across the board all of the company's key areas. New European and globally extensive applications or granting of patents are regularly added. Since 1991, SCHROTH has been supplying almost all major airplane and helicopter manufactures with state-of-the-art safety belts systems. 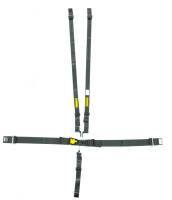 We offer all kind of restraints from lap belts up to 5-point models. More than 40 years of experience in dynamic tests and innovation have made SCHROTH the most successful current supplier. 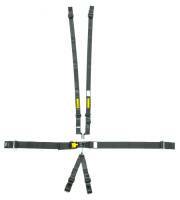 SCHROTH aviation seat belts are JTSO/TSO- C114 / C22g approved. Pit Stop USA is The Online Motorsports Superstore! We feature Restraint System Mounting Hardware at low everyday prices. Pit Stop USA is The Online Motorsports Superstore! We feature Restraint Service Parts at low everyday prices. Belts are not SFI or FIA Approved. Designed for Club racing or Track Cars that do not have a seat belt requirement.